Ed Sheeran (born 17 February 1991) is a singer/songwriter currently signed under Atlantic Records. Sheeran was born in Halifax, West Yorkshire, before moving to Framlingham, Suffolk. He learned guitar at a very young age, and began writing songs during his time at Thomas Mills High School in Framlingham. Many of his early childhood memories that he referred to in a interview on the Zane Lowe show included listening to Van Morrison on his countless trips to London with his parents and going to an intimate gig with Damien Rice in Ireland when he was 11. 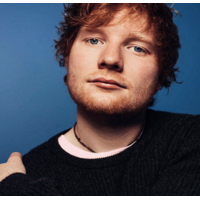 Sheeran began recording in 2005, which led to the release of his first EP, The Orange Room EP. Sheeran also released two albums, a self-titled one in 2006 and Want Some? in 2007. He moved to London in 2008 to play gigs, starting off in very small venues, playing every day.